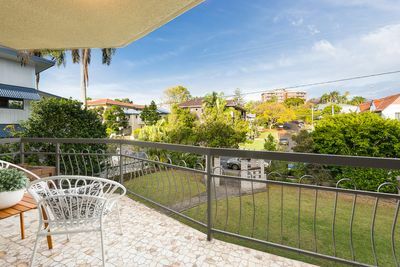 You’ll love coming home to this delightful two-bedroom apartment in desirable Clayfield. Awash with light, this first-floor apartment is beautifully appointed. 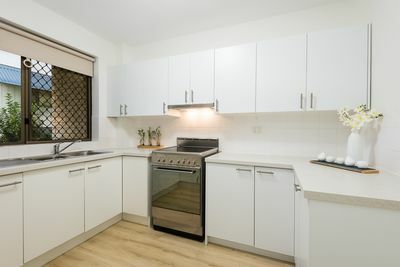 There’s a brand new kitchen with loads of storage and work space. 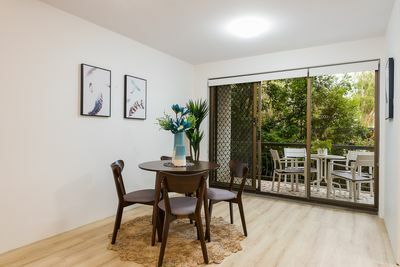 Both the kitchen and dining area overlook the first of two verandahs – take your pick for your morning coffee! 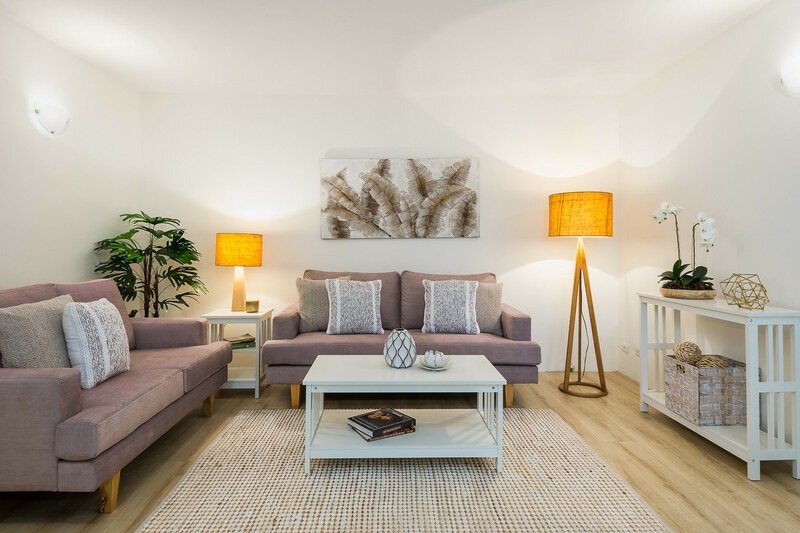 You can relax in comfort in the spacious living-dining area, with brand new flooring underfoot. 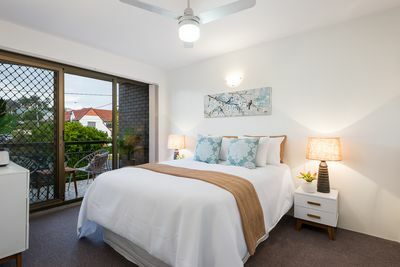 Both carpeted bedrooms have excellent built-in robes, and the main bedroom opens to the large front balcony. 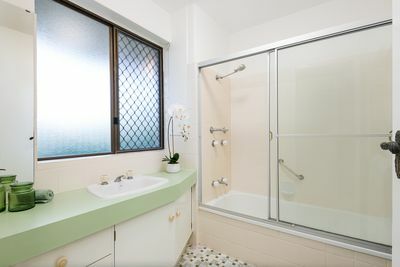 Everything here is immaculately clean and bright. Situated in a traditional block of just ten, this apartment offers privacy, security, and the peace and quiet that comes with a solid, established property. Set in mature communal gardens, it has a lovely aspect, set back from the road. 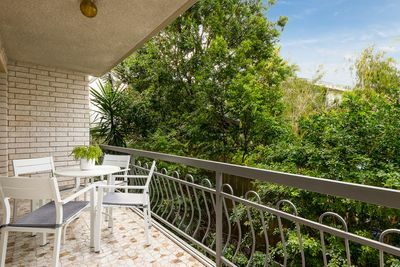 The large front balcony looks out across the excellent tree-lined suburb of Clayfield, and catches fresh breezes from the Bay. A huge lock-up garage on the ground floor will easily accommodate two cars and still leave plenty of room for more storage. 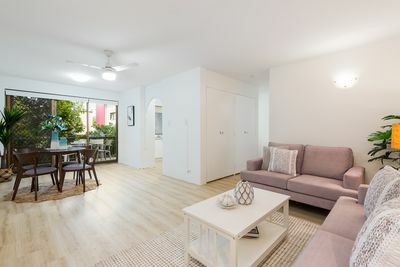 Clayfield offers everything you’d expect of an established, exclusive suburb. Great cafes, bars and shops are within walking distance. There’s an excellent bus service to the CBD, with a bus-stop metres from the front of the property. It’s only 15 minutes to the city centre! 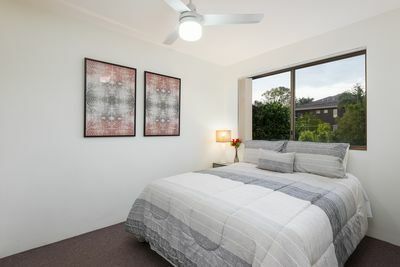 There’s also fantastic road links to the airport and major arterials just a minute’s drive away.